For the professional care of your loved dog we have a selection of 10 self-contained suites of a very modern design opened in 2010. At our secluded and exclusive premises, your dog can be assured of exceptional individual care and attention. 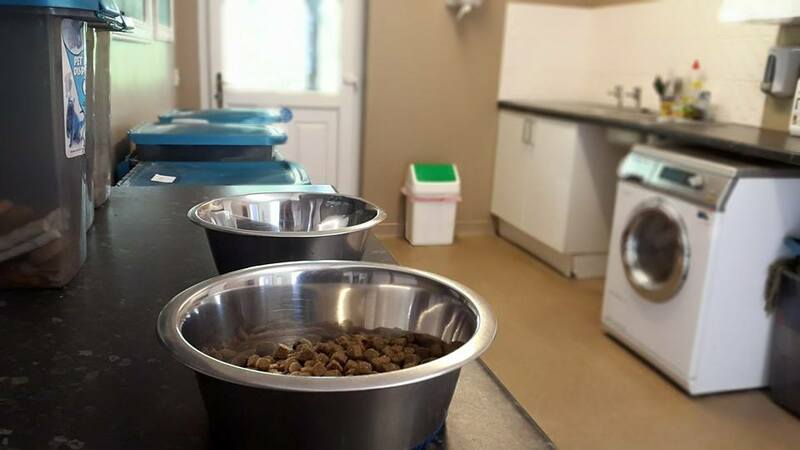 With lots of very happy clients who return time after time, our aim is to provide a happy and stress-free environment, with diet and attention to suit so you can leave your much-loved pet with complete peace of mind. Our dog suites are light, spacious and insulated to give your dog a secure and comfortable personal space. Payment is accepted; in cash, cheque, by any debit card and online by bank transfer. Use our form or email us to make a booking enquiry and please note that all bookings must be confirmed by email and will be subject to a £50 deposit to secure. Our dog suites have light bedrooms with full-height, solid-built walls (not panels) with glass doors and attached exercise rooms. This creates a quiet, calm, balanced environment that is secure and full of natural light. 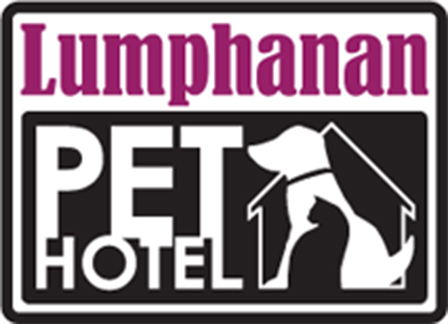 At Lumphanan Pet Hotel our aim is to recreate a comfortable home environment to help your dog settle quickly and enjoy their surroundings. We walk each dog, or ‘family’ of dogs, individually twice a day for 20 – 40 minutes, depending on the needs of your dog, in the surrounding countryside. 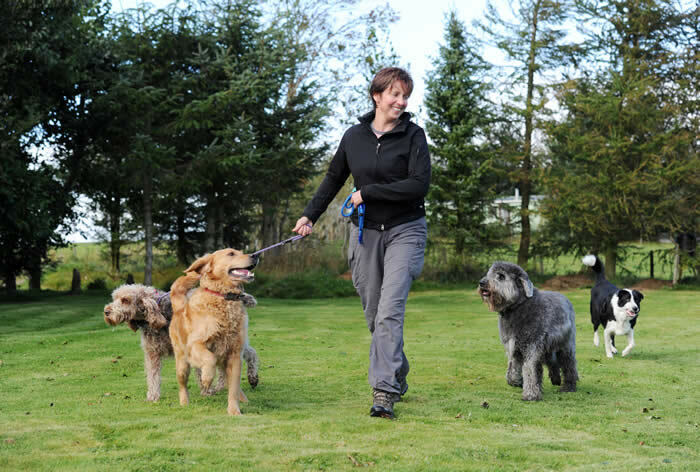 Plus each dog, or family of dogs, has 20 minutes of “human” time between walks where they are again out of the kennel and participating in a selection of activities suited to your dog, such as cuddles, grooming or ball time in the exercise area. Jo (Owner) is a passionate dog lover who has kept and competed working gundogs, collies and terrier her whole life. She had the idea to build the pet hotel in 2006 to bring dog boarding into the 21st century after being unable to find somewhere to leave her own dogs. So planned, funded and project managed Lumphanan Pet Hotel from start to finish, opening in April 2010. She has previously worked in farming with dairy cattle, commercial sheep, race and hunt horses. From this background, Jo progressed to land management, the service industry and hospitality for Scottish estates. I have been using Lumphanan Pet Hotel for many years. Our dogs love going there and it’s a great pace for us as the routine is very close to what our dogs get at home. They are walked twice a day totalling one hour and this is a great part to the kennels. 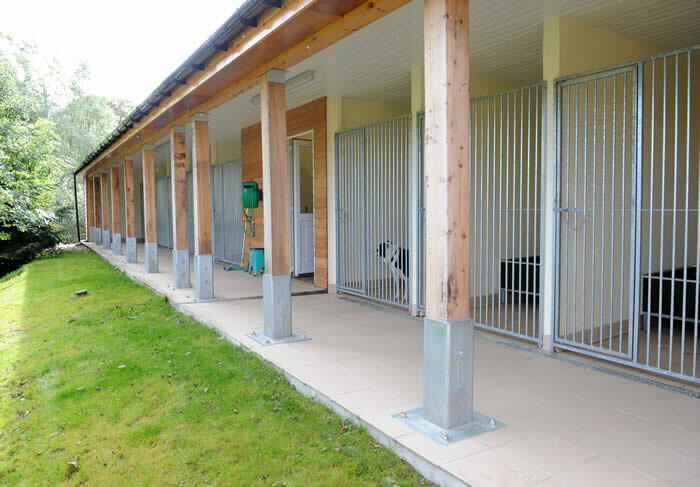 If you have unsocial dogs it’s a great place to board them as the walls of the runs out the back of the kennel are solid so the dogs do not see each other when they are in the outside part of their run. Great set up. Owner and staff very caring and always willing to go the extra mile. I’ve had lots of support from Jo with my “headstrong” pup and would highly recommend the pet hotel to others. After booking a late break and local kennels being unable to take my 2 boxers Gabby and George, I was happy to take the advice of a friend and book into Lumphanan Pet Hotel. The conditions of the kennels are absolutely first class, and my dogs settled very quickly into their new "home" for the week. I'd happily recommend them to anyone looking to have their dogs looked after while they are away. Jo is the most amazing caring person, you couldn’t leave your fur babies in safer hands! She and her hand picked team take pride in their work and look after pets safe as anything . My nervous dog enjoyed the stay and loved Anna and Steve. Excellent clean, warm and modern facilities and care, I would not leave my dog in any other kennel. This was the first time I have left my two German Shepherds at the Lumphanan Pet Hotel and I would not hesitate to leave them there in future. My dogs spent four days staying at the kennels. The owner is very professional, and knowledgeable, the kennel is very well run, and my two girls obviously had lots of walks and attention because they both slept all evening when I brought them home! (She even did some “walking to heel” work with both of them). The dog bedding was all washed for our return. And the girls did not smell of “kennels” at all. I am delighted that they were so well cared for, and I am more than happy to recommend to others.